The Anantapur Sports Academy (ASA), from an individual and collective point of view, has enjoyed a very successful year thus far. Most recently, the ASA football team made the institution proud by finishing third in the latest season of the Amateur League. The Amateur League (TAL) is a tournament organized for amateur football players and teams at the FSV Arena in Bengaluru, Karnataka. 2018 marked the sixth edition of TAL but the first year of participation for ASA. The league is split into three groups, namely, Division 1, 2 and 3. A total of 36 teams took part this season with each division comprising of 12 teams. ASA, with a squad consisting of U18 players (average age of 16) were placed in Division 3. All the league games were played with 30-minute halves. For the ASA boys, the hardest aspect of the competition was travelling. They had to make the 400km round trip between Anantapur and Bangalore on a weekly basis. However, these youngsters didn’t let the fatigue affect them on the pitch. 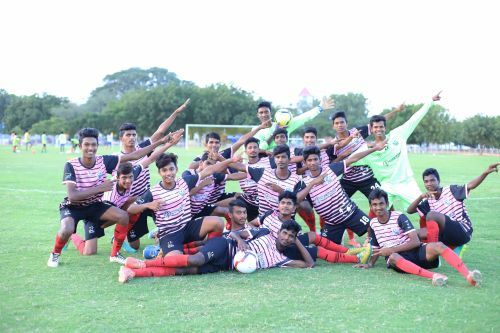 In an impressive first campaign, the boys from Andhra racked up the points and recorded their biggest win of the competition with a 6-1 thrashing of Warriors FC. The goal scoring was handled by B. Manikanta. His eight goals in nine matches helped guide the team to a 3rd place finish in the league and also earned him the Division 3 top scorer prize along with the accolade of Most Valuable Player (MVP). In terms of creativity, Sohan Gurung ran the show for ASA. His excellent vision, dribbling and ball control contributed to many goals throughout the tournament. Sohan’s influence and impact were duly recognized as he was hailed as the ‘Best Playmaker’ in Division 3. Sohan and Manikanta won the plaudits, but every player in the squad understood their roles and stepped up at crucial moments. Deepak Vaddadi was in genuine goalscoring form throughout and grabbed a couple of braces at timely junctures to seal victories and improve the team’s overall goal difference. The core players were brilliantly led by their captain Shaik Khaleel, who was an inspiring figure within the dressing room. In defence, Ajith Boya’s consistent and stellar performances were one of the key factors to the team’s overall success. Finally, the outfield players were backed up excellently by their goalkeepers as Pramith PM and A.Anji combined for a total of five clean sheets in 11 outings. “I believe competition teaches a player a lot more than a coach can and proper competition is what every player needs to grow. Right now there is a lack of competitions in India but competitions like TAL are helping and it is great. 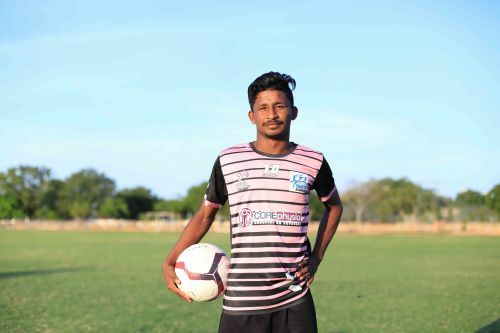 For the first time, we are playing multiple competitive tournaments in a season and I feel the boys are already doing well,” said Mouriya Sethupandian, U18 coach at ASA. Following an impressive stint in Bengaluru, the focus now shifts to the AIFF U-18 Youth League for ASA. The tournament will be a platform for these youngsters to take their game to the next level and compete against U18 teams from all over India. The format of this league is the same as any other professional league, where each and every team will play a home and away fixture against their opponents. About 70 to 80 clubs will take centre stage and will be divided into separate groups, depending on their state and region. 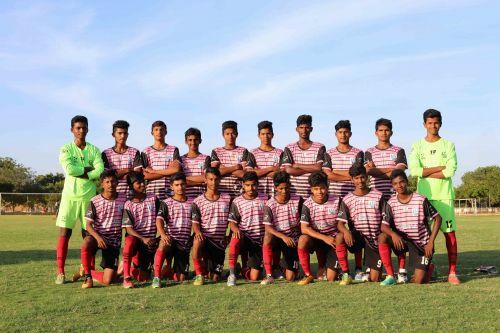 The Anantapur Sports Academy will face the challenge of coming up triumphant in the group stage against the likes of Bengaluru FC, Ozone Football Academy, Boca Juniors Football School and FC Mangalore. Changing a nation’s approach to football, eleven million kids at a time! Chennai City FC wins maiden I-League title.